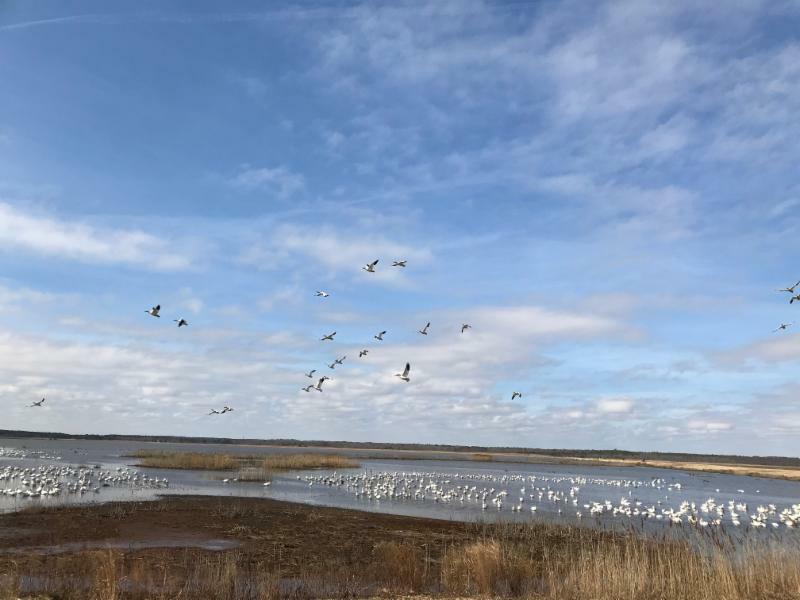 The South Jersey Quail Project (SJQP) is a grass roots non-profit organization that works with private landowners to preserve nature and give back to society, thus magnifying stewardship efforts. 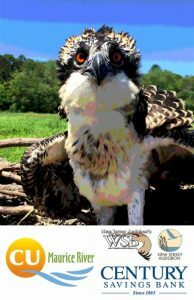 Working closely with the NJ Division of Fish & Wildlife and NJ Audubon, the SJQP conducts landscape consultations, land surveys, plantings of native flora, mowing and tilling to encourage thinning of overgrowth and bare soil regrowth, seed broadcasting and establishment of pollinator flower beds. They monitor acreages for wildlife activity and conduct “covey call counts” on a periodic basis. 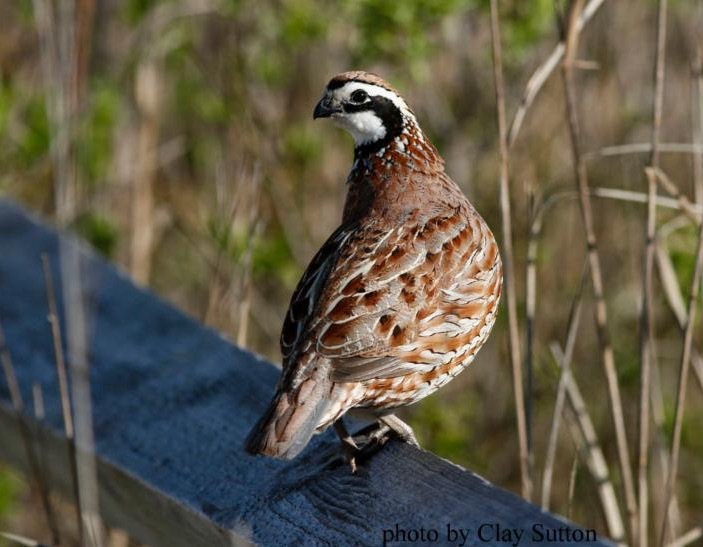 SJQP’s President Terry Hider and Project Development Specialist Joe Matter will present on the challenges faced by the Bobwhite Quail and other upland game species, as well as the strides they are making currently, and those they hope to make in the future. Along for the ride will be a few Bobwhites that you can see, hear, and visit with, up close and personal: a unique experience. Dr. Abs’ presentation will focus on the water quantity in the Maurice River. 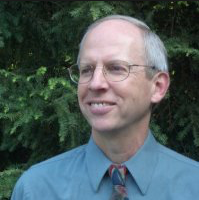 Dr. Daniel Van Abs, Associate Professor at Rutgers University, has over 30 years of experience in water resources and environmental management with Rutgers, the Highlands Council, NJ Water Supply Authority, NJ Department of Environmental Protection, and Passaic River Coalition. He is a Professional Planner. See www.danvanabs.com for more details. I would like to invite you to join me in welcoming our newest staff member, Meghan Thompson, who is filling the position of Assistant Office Manager. She has a love of animals and an interest in our mission. 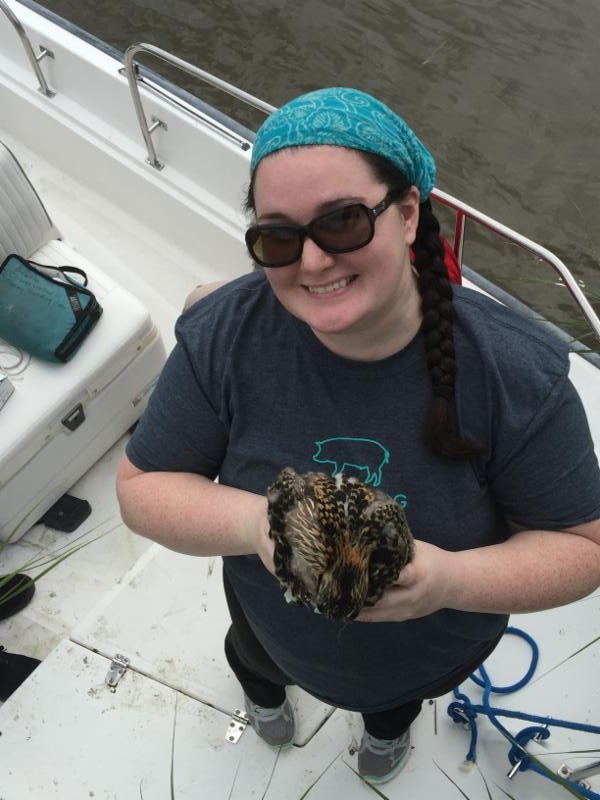 With a BS in Animal and Food Sciences from the University of Delaware, Meghan’s vet tech experiences ultimately led to office managerial work in veterinary practices. She brings a variety of organizational experiences to the CU office and is a quick learner. She has been with us for a month, now; she is a great addition to our staff and we are happy to have her on board. Stop by and say hello if you haven’t already met her. Wow, what a year we have planned! Over 100 presentations, events, and out-of-door opportunities. 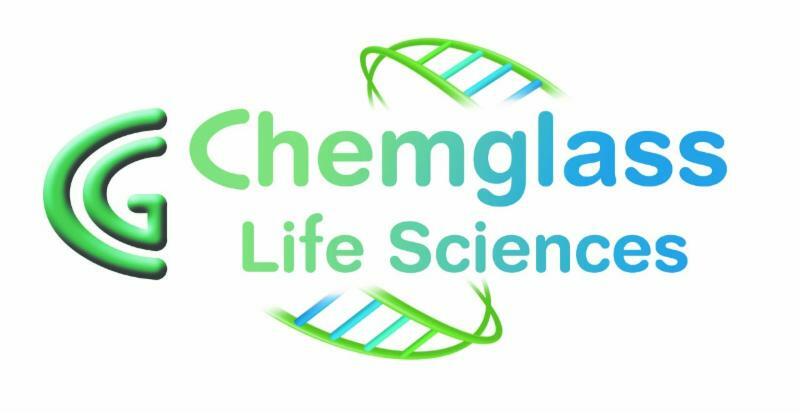 A special thank-you to Chemglass for supporting our year-round activities! Saturday, April 7 – 6:00 p.m.
We have wonderful auction items. It is going to be a great event. If you are interested in making desserts or appetizers, please contact us. We could still use a few nice door prizes. The Chili Bowl is currently sold out; however, please contact the office since we may have openings from those who cancel. And to those who have reserved: if you are not able to use your Chili Bowl tickets please advise us immediately! We’d like to know who will take your place, or allow someone from the waiting list to have an opportunity to attend. On April 19th, famed photographer Albert Horner will take guests on a photographic journey of the NJ Pinelands. Come hear him talk about his beloved Pine Barrens! Be sure to reserve early as the CU Socials always have waiting lists. Saturday, May 5th – For the past few years CU Maurice River has been an active participant in WheatonArts’ Ecofair. We have hosted a keynote speaker and introduced the participants to the interpretative trails installed by WA and CU. It is with great enthusiasm that we announce having secured as a presenter the well-known naturalist and award-winning author Heather Holm, a nationally sought-after speaker. 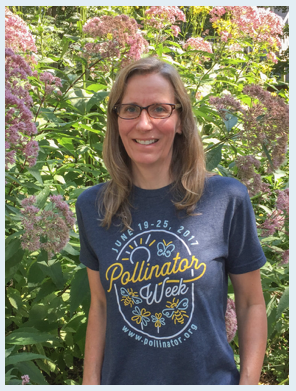 An expert on native bees, Heather will explore aspects of pollination and native plants. Special thanks to Eastern Fresh Growers, Inc. for helping to sponsor her presentation. 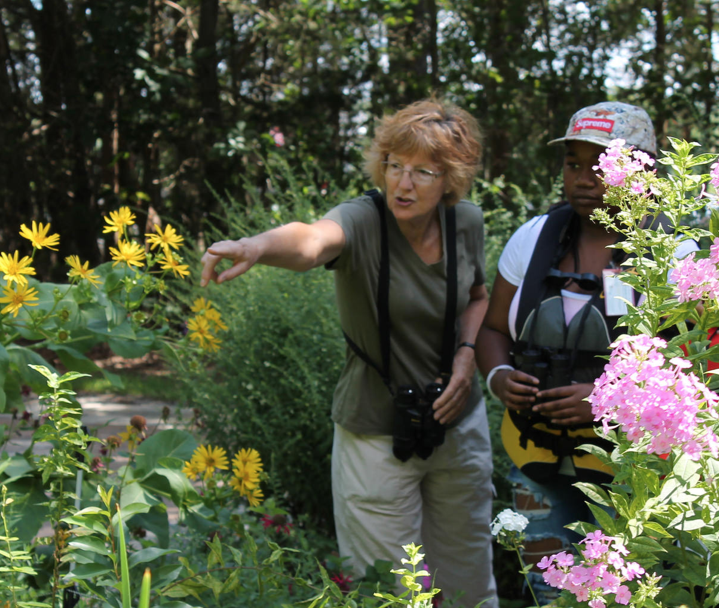 Local naturalist Pat Sutton highly recommended Heather; she tells us you won’t want to miss any presentation by Holm. 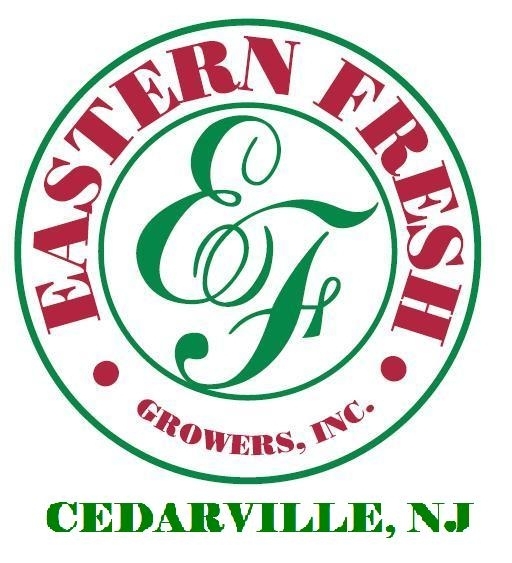 A special thank you to Eastern Fresh Growers, Inc. for helping to make the presentation possible. Support your team, GO FISH HAWKS! 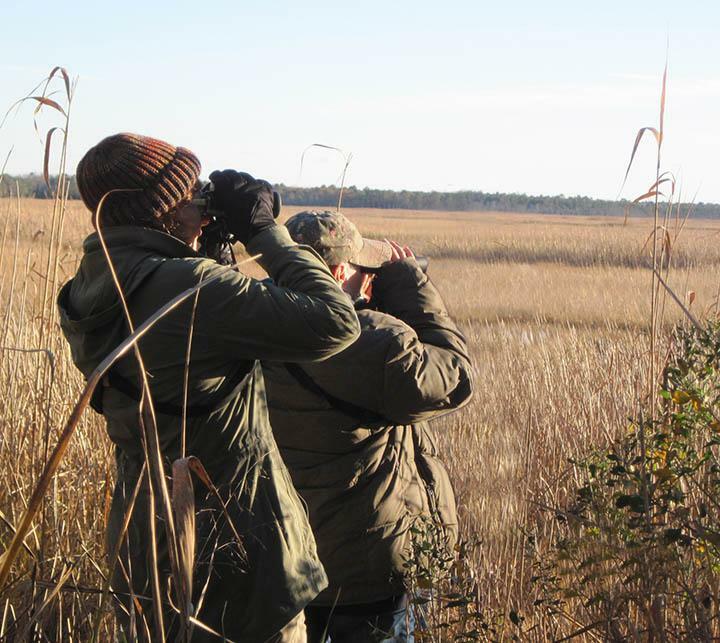 On May 12th our World Series of Birding Team will hit the trails looking for as many different species of birds as they can identify along the Delaware Bayshore. The team is comprised of Mary Watkins, Tony Klock, Kathy Michel, and Karen Williams. Our t-shirts are once again awesome. Please pledge to support your team. There are two ways to pledge: a straight pledge of a particular amount or a pledge per species seen. The team generally sees around 130-145 different species. Donations of $50 or more are eligible for a designer Fish Hawks t-shirt in gray or white; supply us with your size and color choice. A coffee mug with the t-shirt design is an option but mugs have to be ordered and then picked up at the office. GO FISH HAWKS. 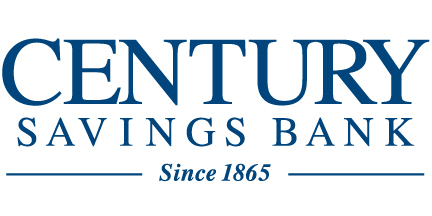 A special thank you to Century Savings Bank for sponsoring this year’s t-shirts! CU’s absolute best family night of fun and education. Spend the evening looking for and identifying the hoppiest nature around. 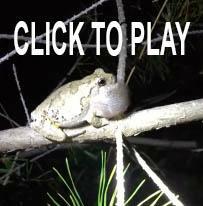 Learn to identify frogs by their breeding songs. Bring a flashlight or head light; be prepared for soggy conditions – knee high or higher boots preferred. Touch tanks and camera opportunities. No fee. Please register in advance by calling 856-300-5331. Location will be made known to registrants. A HUGE DAY of fun! Saturday May 19th is the big event! 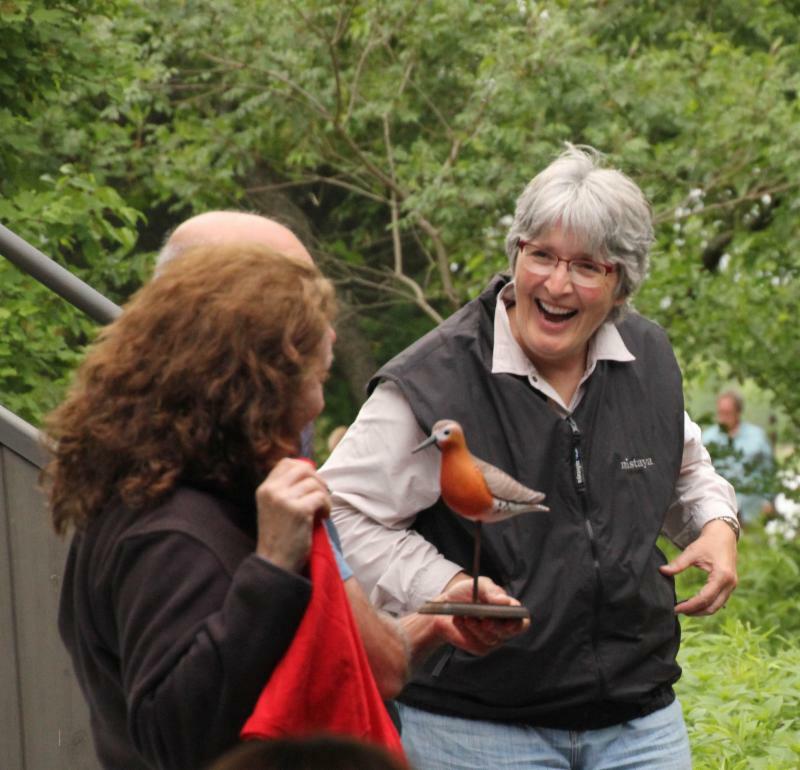 All members and volunteers are invited to attend the annual Pig Roast and Pot Luck with the shorebird team, where we will also present our Ah Why Knot Awards for the year. This is a great celebration at the river and we want you to come! Please RSVP to Doreen and let us know whether you would like to bring an appetizer, side dish, or dessert. Additional entrees, especially vegetarian options, are appreciated. Folks are welcome to arrive starting at 2:00 p.m. for a paddle or some time outdoors, and volunteers are also welcome to arrive at 2:00 p.m. to help with set-up. Please email or call Doreen 856-300-5331 if you can help with set-up and/or cleanup. Dinner will take place around 5 p.m.
A special thanks to Stanker and Galetto for helping make the pig roast a reality. In the morning of May 19th we will also hold our Annual Walk at Hansey Creek Road in Commercial Township. 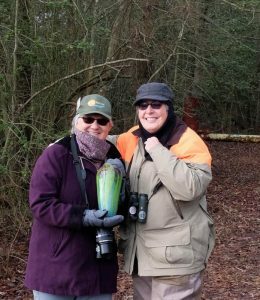 Join the 2018 World Series of Birding Fish Hawks team members Tony Klock, Kathy Michel, Mary Watkins, and Karen Williams for a great guided tour. Who knows – possibly past team members like Clay Sutton might make guest appearances. The walk begins at 7:30 a.m. in an effort to hear spring migrants sing. Tony is likely to show up even sooner than that; one never knows. The road tends to have great attributes: little to no traffic, wonderful birds and, being on the macadam, fewer ticks. A special thanks to Newfield Bank for supporting our volunteer recognition events! March 27th Tuesday on the Fly – The Nature Conservancy Preserve – Menantico Trail – Meet 9 a.m. at Waltman Park to carpool to location. 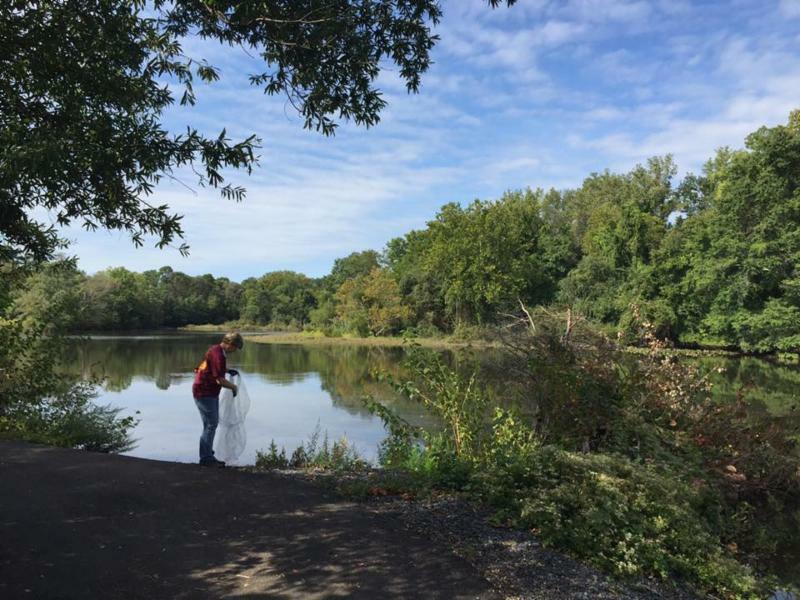 We will walk the Eagle Head Trail in Salem to view PSE&G’s restoration project and scan for wetland wildlife. CLEAN-UP – Annual Trash Hunt – Saturday, March 17th– This event will be hosted in partnership with New Jersey Conservation Foundation and Cumberland County’s Improvement Authority. CUMR volunteers will clean up a site that is slated to be preserved by Green Acres once dumping areas have been cleared. Meet at the CU Maurice River office. RSVP by following this link or call the office at 856 300 5331. ReTurn the Favor – Help make a difference! Last year ReTurn the Favor, a volunteer program along New Jersey’s Bayshore, involved 118 walk leaders who gathered up friends and family and took them to the bayside beaches, to save 131,024 horseshoe crabs. Our own crews saved 7,359 horseshoe crabs. More volunteers means more rescues. Crabs and shorebirds will benefit from your engagement in this successful wildlife rescue project. Training will be held Saturday, April 21 at East Point Lighthouse from 9am to 1p.m. Two sessions A) training and walk B) walk and training. Bring a picnic lunch and stay for a tour of the lighthouse following the training. Nancy Patterson Tidy, president of the East Point Lighthouse, has offered to open the doors and showcase the recent renovations. Sign up on the website or by call 856 300 5331. Let’s get to flippin’ ’em crabs! BICYCLING – Blooming Belleplain Bike Ride Saturday, May 26 – Join cycling enthusiast Allen Jackson and his biking club for a ride through Belleplain State Forest. This is the perfect time and place to enjoy the lovely blossoms of mountain laurel. Meet at the preserve’s visitor center at 9 a.m.
Also see a Huge Day of Fun on Saturday, May 19th. March 9, April 13th, May 11th – Fridays at 9:15 a.m.
Join Wendy Walker and Christine Brown for a nature walk on the Maurice River Bicycle and Walking Trail. For this feature we have developed a trail map/guide and checklists for birds, reptiles, amphibians and mammals. The trail has numerous different habitats, all within close proximity. In 2017, CUMR designated 37 property owners’ land as stewarded parcels. Residential, commercial, and large-tract stewards received recognition for utilizing best management practices on their properties. Many of our designees obtained the qualifying amount of points by implementing best management practices and committing to additional sustainable behaviors. 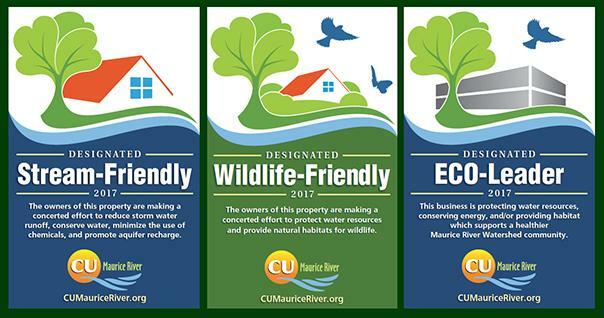 If you would like to have CUMR designate your property in 2018 or would like to start or expand your stewardship, contact Karla.Rossini for a stewardship brochure and designation checklist. If you are still on the fence, consider participating in one of our many stewardship-themed activities. See our calendar for more information. 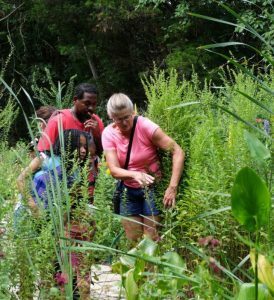 Germination Workshop, by Karen Williams – Monday, March 5th at 7 p.m. at the Riverfront Renaissance Center for the Arts (RRCA) – CUMR will hold a germination workshop at the RRCA, led by biologist Karen Williams of Flora for Fauna, a nursery specializing in native plants. The workshop is a partnership between CUMR, RRCA, and the Holly City Development Corporation. 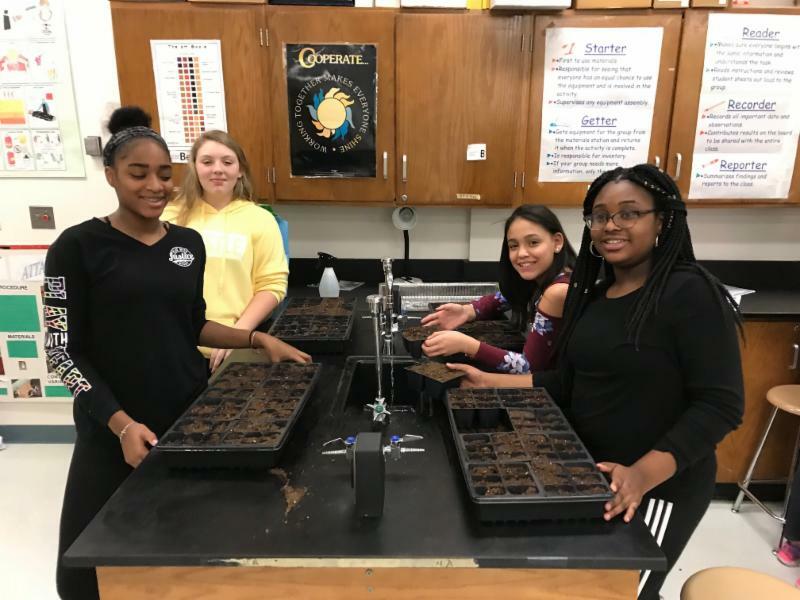 The resulting seedlings will be cared for by the participants and planted on May 7th 6 p.m. at the Neighborhood Wildlife Garden in Millville; volunteers welcome. The RRCA will tend some of the growing trays, but we will encourage participants to cultivate seedlings at home. Please join us for this two-part event. 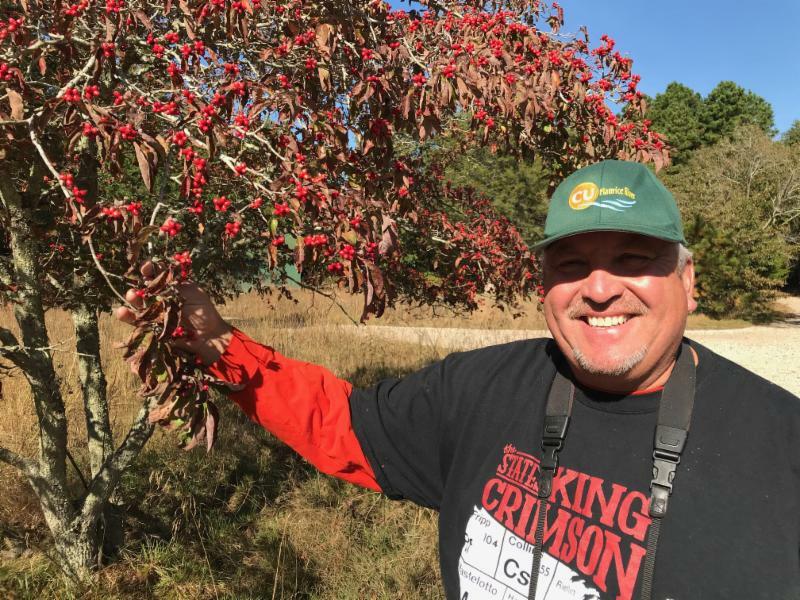 Monday, April 2nd – Native Plant Society – CU’s Board Member Tony Klock will give a presentation on wildlife gardening along the NJ Delaware Bayshore. 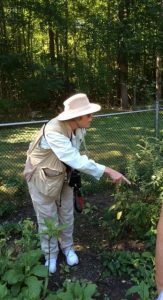 The Native Plant Society generally meets at 7 p.m. on the first Monday of each month at the RRCA, 22 N. High St., Millville, NJ. Friday, March 16th 6-9 p.m. CU Ambassadors are needed for the Riverfront Renaissance Center for the Arts Associate Artist Show sponsored by CU Maurice River. March 20, 21, 22 Wild About Cumberland – This year we will once again coordinate and partner with the Bayshore Center at Bivalve, The Nature Conservancy, Woodford Cedar Run Wildlife Refuge, and PSEG to get Cumberland County 4th graders into the great out-of-doors. Teachers, students, and chaperones will be treated to a half-day outdoors on nearby trails with CU leaders and volunteers, and a half-day indoors at the Bivalve Center with sessions that emphasize “sense of place” and focus on local habitats and species. 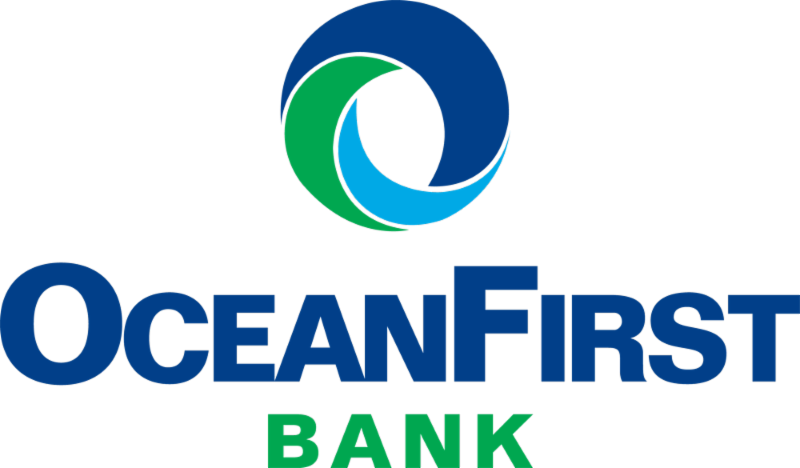 A very special thank-you to the National Park Service and OceanFirst Bank for making this program possible. 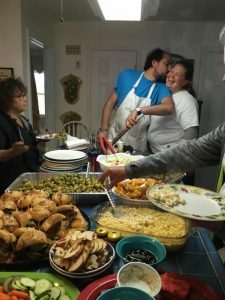 If you would like to provide a meal or be part of a cooking crew for the shorebird scientists, please email Jane or call her at 609-774-5853. She will be contacting past participants and/or their team captains. For those new to this undertaking, we have been feeding the scientists and their assistants, who come from a number of countries to continue their research on shorebirds, for over 10 years. 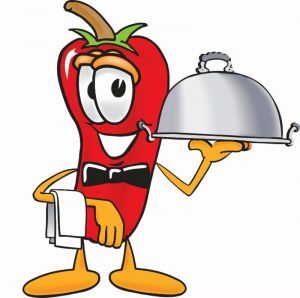 A team or over-energetic chef basically makes a meal for 25 to 30 folks. It is much easier than it sounds. It is buffet style and the scientists will lend a hand if necessary. You do not have to clean up or set tables (although everyone’s approach is different). It is an experience you won’t want to miss. If you are a newbie to the process we can connect you with a team to provide a side or dessert. 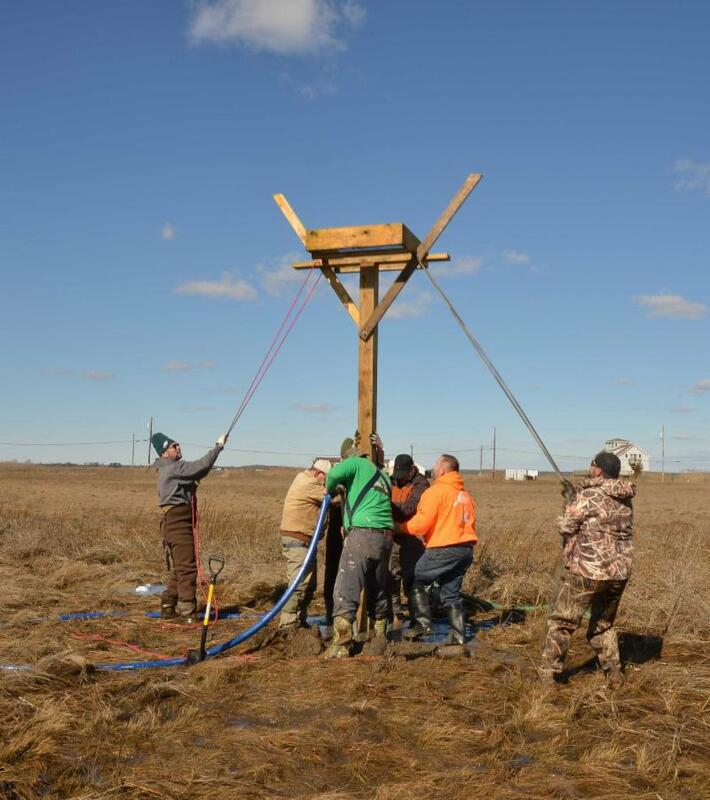 Osprey Platforms were installed at Bay Point on Sunday, March 4th. 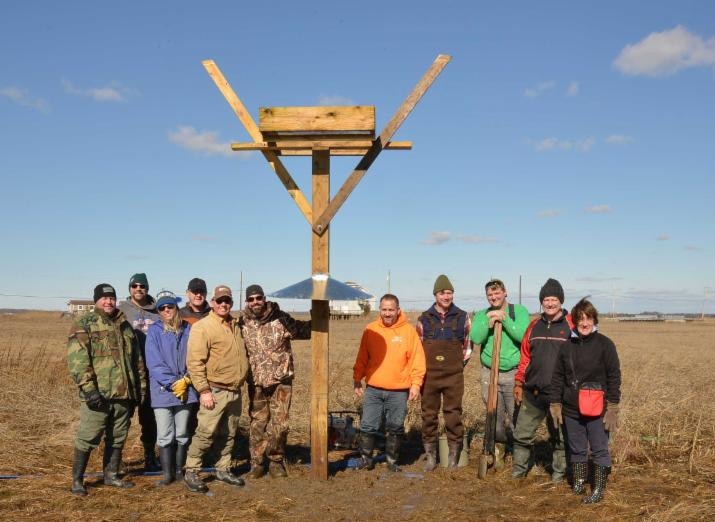 We had a great team of people to put up the two osprey platforms for the DEP Blue Acres program. Pictured below from left to right are Rob Tomlin, Rich Davis, Vicky Tomlin, John Olah, Peter Galetto, Dave Mazowski, John Ruga, Tom Talalaj, Justin Wigglesworth, Norm and Cheryl Lalancette. Over the last couple of weeks Karla and Susan McKenna have been leading germination workshops with local organizations and school groups. March 24th at 10a.m. – Garden Work Group – In order to get the ground ready for people to do their plantings, the garden will need a little spring preparation and maintenance. We hope you can join us at 213 N. Third St., Millville, NJ. April 14th at 10a.m. – Tree Planting – After viewing the pictures of the planting at the garden in 2017, the NJ Tree Foundation contacted CUMR to see what trees we might need for this project. They have donated 300 trees and bushes, including bayberry, buttonbush, red cedar, black cherry, persimmon, and silky dogwood. 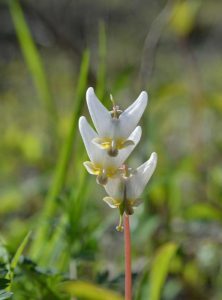 The remaining plants will be used in CUMR’s stewardship program. Training Saturday, April 21 will be held at East Point Lighthouse from 9 a.m. to 1p.m. See above (pg.3) for details. Experienced volunteers, be on the lookout for emails with a sign-up link and more beach information. Allen Jackson will be leading two work groups at the trail. The first will be a tree planting on Thursday, March 29th at 2 p.m. (Mr. Golla, note the time! ), and the other a clean-up in preparation for the ECO-Fair Thursday, April 26th at 9 a.m. For both work groups meet at the entrance gate by the circle. 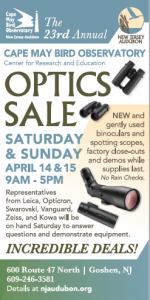 April 14 & 15 – New Jersey Audubon’s Cape May Bird Observatory will be holding their annual optics sale at their 600 Route 47 North, Goshen, NJ location. This is a CU favorite! There will be incredible deals and expert assistance to get the right optics for your needs. For more details call 609-246-3581. 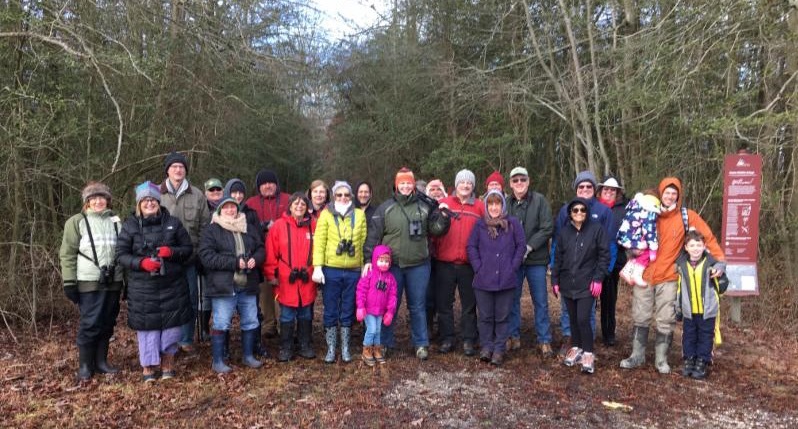 The Annual Eagle Trail Walk on January 13th was a smashing success. We had a full complement of most of our leaders. It is a tradition to start the first hike of the year with “CU’s naturalists.” There were about 30 attendees and we had a grand time. Tony Klock, Mary Watkins, Christine Brown, Wendy Walker, Sue Fenili, Jane Morton Galetto, and Karla Rossini all played leadership roles. Many attendees gave further enlightenment to the hike. Before the jaunt we recognized Mary Watkins, outgoing trustee emeritus, for her many contributions as a CU Trustee. She was given a vase that was created by artist member Joe Matson. The selected artwork’s motif reminded us of a forest. Afterward many of the attendees joined us for lunch at Newport’s The Landing Restaurant. 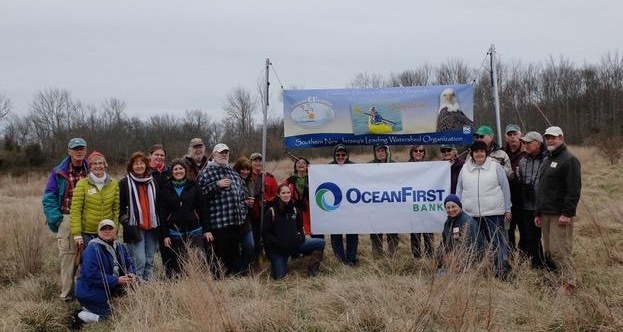 CU Saturday, February 17th – A Duck Caravan of members visited Forsythe National Wildlife Refuge. A few folks made a checklist and were happy with the 20 different species observed; at least 12 different species of waterfowl were tallied. Folks were clearly enamored of the two snowy owls that made an eye-catching appearance. Special thanks to trip leaders Mary Watkins and Tony Klock who led 30-some enthusiasts along the impoundments. Afterward participants gathered at the Oyster Creek Inn for a marsh-side meal. Tuesday, February 20th was the first Tuesday on the Fly. It was filled to capacity at 25 participants – with a waiting list. The attendees went to Mauricetown Historical Society headquarters as well as taking a walk around town for two hours to explore the distinctive architecture. Eileen Wiggins and Bob and Judy Moore, dual members of MHS and CU, hosted our visit. Bob was an excellent tour guide and people were very pleased with his narration. Lunch afterwards, served by the members of MHS, was delicious! Naturalist Pat Sutton shared her knowledge and enthusiasm for Backyard Birds Habitat at the February 15th CU Social held at Winfield’s Restaurant. It was a packed house of 70 that thoroughly enjoyed learning about attracting birds into their yards. If you haven’t attended a CU Social you will find they are a great deal of fun. The next CU Social is on April 19th, when famed photographer Albert Horner will take guests on a photographic journey of the NJ Pinelands. Be sure to reserve early as the CU Socials always have waiting lists. 18th Annual Eagle Festival – February 3th WAS A GREAT HIT! Around 500 people were in attendance. The speakers were especially popular, with about 150-160 people at each of the morning presentations. As things warmed up outside many attendees migrated outdoors to viewing platforms and scheduled walks, but presentations continued to draw a good crowd. CU Trustee Leslie Ficcaglia booked the presenters and many people had compliments about the line-up. The CU walk led by Christine Brown, Jane Morton Galetto, and Wendy Walker was very well-attended. CU / BCB members Kathy Michel and Tony Klock at BCB said attendance on their walks was super as well. The morning walk and evening owl watch led by Karen and Brian Johnson were as always popular. Natural Land’s preserve walks were also hits. The CU tables inside the firehall remained active the entire time. Many thanks are in order to the many organizations that collaborate to make this event possible. 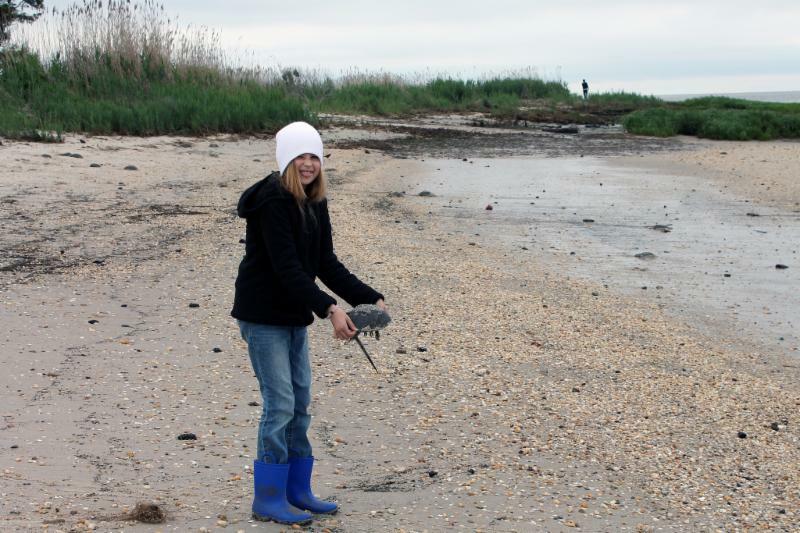 These include CU, NJ Audubon, Bayshore Center Bivalve, Natural Lands, Assoc. of NJ Environmental Commissions, Woodford Cedar Run Wildlife Refuge, Amer. 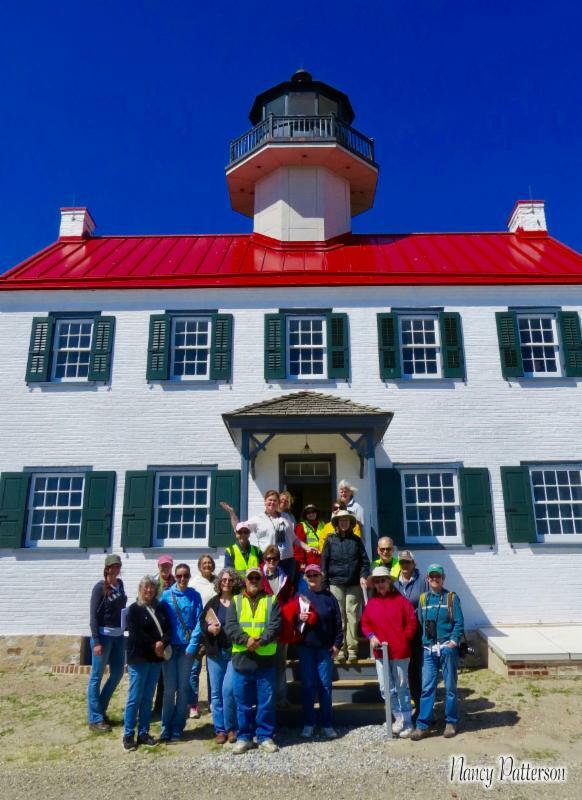 Littoral Society, Conserve Wildlife, NJ DEP’s Endangered and Nongame Species Program, and East Point Lighthouse. The County of Cumberland’s Cultural & Heritage Commission and the Freeholder Board get special accolades for coordinating the many components that go into the event. A special thank-you to the County’s Matt Pisarski! We continue to attend Aquaculture Meetings in which stakeholders explore the relationship between oyster farms, shorebirds, and horseshoe crabs. Primarily. oyster farmers and shorebird scientists seek to protect species and accommodate oyster harvest. We have an occasional attendance at the Tourism and Economic Development meetings coordinated by The Nature Conservancy. We keep numerous networks aware of our opportunities for nature tourism. Other forums that we attend on a regular basis are the Endangered and Nongame Species Advisory Committee, South Jersey Bayshore Coalition Meetings, Association of NJ Watersheds, and the like. Remember to check our calendar online for any changes or updates. You can register for many of our events directly from the calendar. Please keep us notified about any changes in your email or mailing address. Our communications contain a helpful stream of reminders and updates that you won’t want to miss. Help us by ensuring that your membership is up-to-date and/or invite a friend to join. Membership is set at $20 for individuals and $30 for families, although our average annual donation is approximately $75. Mail your check to PO Box 474, Millville, NJ 08332 or join online. A special thanks to all those who give the equally important gift of your time.